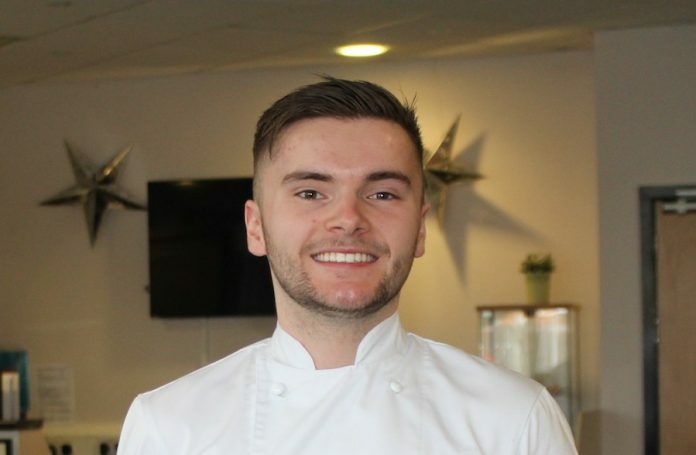 Former Warrington & Vale Royal College Hospitality & Catering student Russell Wood has secured his dream job as commis chef at Michelin-starred restaurant Moor Hall in Ormskirk. A Grade II-listed 16th-century building, Moor Hall features delicate, produce driven menus inspired by its talented Chef Patron, Mark Birchall. The restaurant was awarded two Michelin stars in the 2019 Michelin Guide and holds 5 AA Rosettes. Russell, a former St Gregory’s RC High School pupil, won multiple awards during his time at the college including the Worshipful Company of Cooks Cherry Grainger Prize, City & Guilds Medal of Excellence Award and the Further Education Student of the Year Award. Upon completing his college course, Russell secured a position as commis chef at one of Manchester’s top restaurants, Manchester House, under the guidance of celebrity chef Aiden Byrne. Russell continues to show his support for the college through alumni dinners, chef demonstrations and talks to current students.